저는 평범한 직장인으로서 취미로서 아름다운 천체사진을 필름에 담고 있습니다. 혼자 보기에는 너무 아까운 밤하늘을 같이 보고자 이 홈을 운영하고 있으니 언제든지 부담없이 놀러와 주시기 바랍니다. My name is Keon-Ho Lee and I live in Korea. 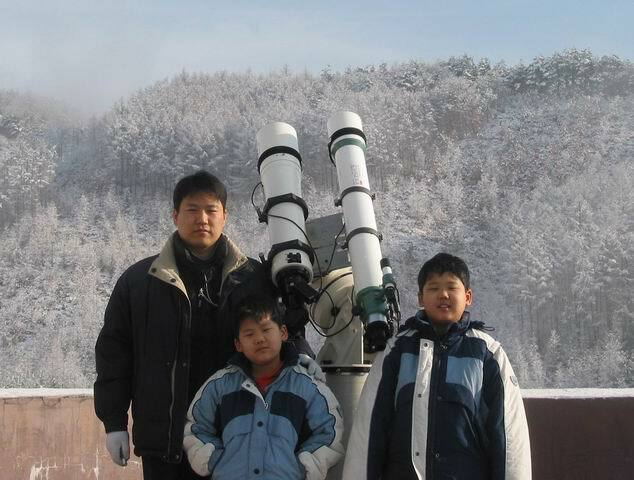 I'm an average electrical engineer, I have been stargazing for about 20 years already. Astronomical photography is my most favorite part of my stargazing hobby, I want to share this incomparable beauty of the cosmos. Please enjoy these pictures and don't hesitate to ask any questions.